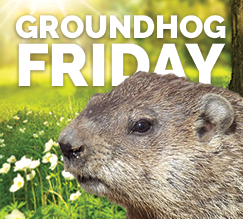 This edition of Groundhog Friday, an occasional wrap-up of recent repeats, includes claims from the presidential candidates about Libya, income inequality, nuclear weapons and more. Follow the links to our articles for more information on our debunking of the claims. It’s true that Islamic State fighters have made numerous attacks on oil fields across Libya, according to news reports. In March 2015, it was even reported that militants believed to be associated with the Islamic State attacked and “took control” of oil fields in Bahi and Mabruk in central Libya. But Claudia Gazzini, a senior analyst for Libya with the International Crisis Group, told us that the Islamic State’s strategy thus far has largely been to disrupt oil operations in Libya rather than to try and make a profit off of them. Sanders mixes and matches two different sets of data to make his “longer hours for lower wages” claim. Figures from the Bureau of Labor Statistics show average weekly hours and average weekly earnings both declined for production and nonsupervisory employees from 1965 to 2015. But the Sanders campaign cited BLS data showing hourly wages went down slightly from 1975, and then pointed to a Brookings Institution report that found the total number of hours worked by two-parent families in the middle 10 percent (in terms of earnings) had gone up — mainly because more women entered the workforce. The Brookings report found that the median wages for those families also had gone up — so they were working more hours for higher pay, not more hours for less. Sanders also repeated his false claim that “almost all new income and wealth is going to the 1 percent.” That’s an exaggeration, even according to the work of economists Emmanuel Saez of the University of California, Berkeley, and Gabriel Zucman of the London School of Economics and Political Science, whose research Sanders has cited. The Saez-Zucman study found the top 1 percent held 41.8 percent of the nation’s wealth in 2012. Federal Reserve Board economists put the figure at 36 percent. As for income, a June 2015 update by Saez and Zucman said that 55 percent of real income growth from 1993 to 2014 went to the top 1 percent, and from 2009 to 2014, 58 percent of real income growth went to the top 1 percent. That’s not “almost all.” Sanders has sometimes used the 58 percent figure in his speeches, but sometimes he reverts to his “almost all new income” claim.